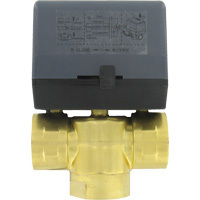 Three-Way Zone Valve is ideal for flow control in hot and cold water HVAC systems. Electrically driven to open and spring to close. Easy to install. Manual override lever is easily accessible externally. 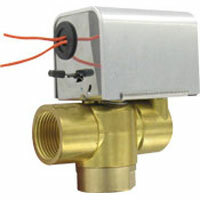 Two-Way Zone Valve is ideal for flow control in hot and cold water HVAC systems. Used in conjunction with a thermostat to control room temperature. Electrically driven to open and spring to close. 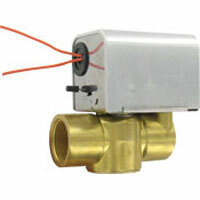 Two-Way Detachable Zone Valve is ideal for flow control in hot and cold water HVAC systems. Used in conjunction with a thermostat to control room temperature. Three-Way Detachable Zone Valve is ideal for flow control in hot and cold water HVAC systems. Used in conjunction with a thermostat to control room temperature. Manual override lever is easily accessible externally.